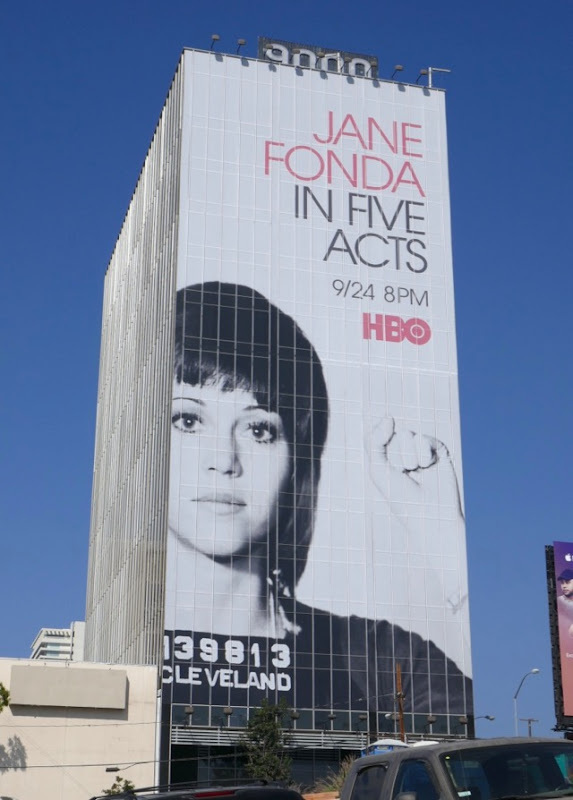 Following her documentary about Steven Spielberg last year, director Susan Lacy turns her attention to another amazing Hollywood icon this year, Jane Fonda. The documentary film takes a look at the life, work, activism, advocacy and controversies of the Oscar-winning actress and fitness guru. 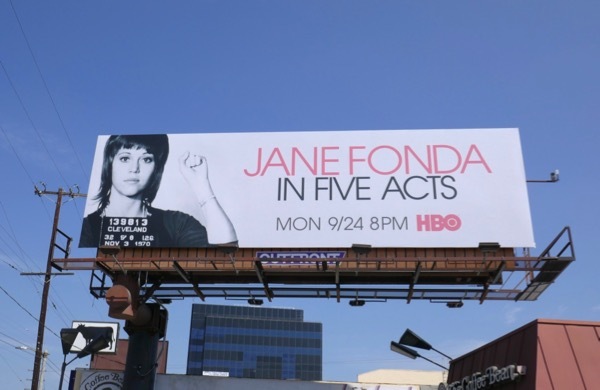 Known for such roles in 9 to 5, Barbarella, On Golden Pond, Coming Home, The China Syndrome, Klute and many more movies and TV series, plus for inspiring a generation of men and women to act up and work out, Jane Fonda in Five Acts looks like compelling viewing. 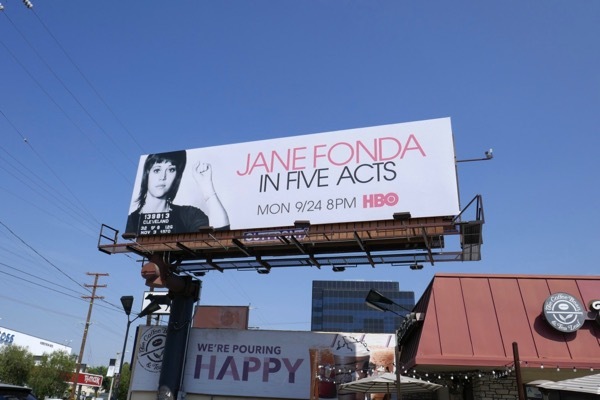 These eye-catching billboards for the HBO documentary feel very timely with all the Women's Marches, Resistance, #MeToo and Time's Up movements fighting for our rights, were photographed along the Sunset Strip and La Cienega Boulevard from August 28 to August 31, 2018. 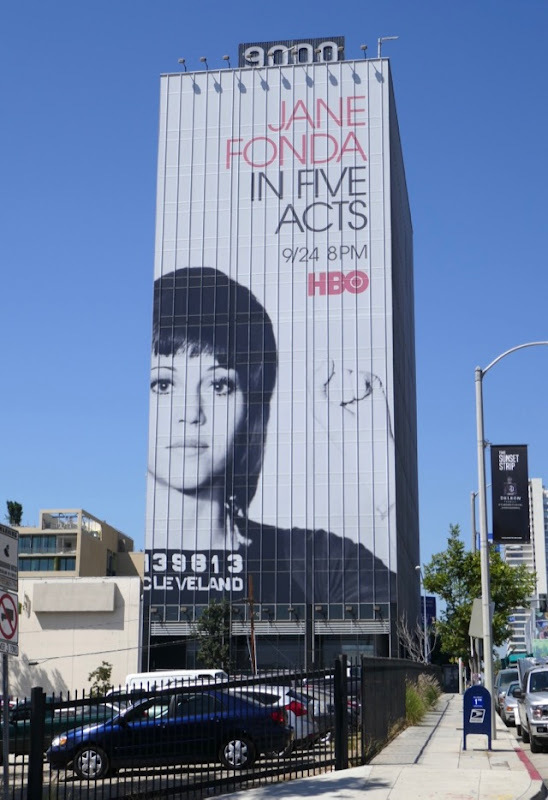 Fans of the remarkable actress can also enjoy all these Grace and Frankie billboards and these Book Club movie billboards. 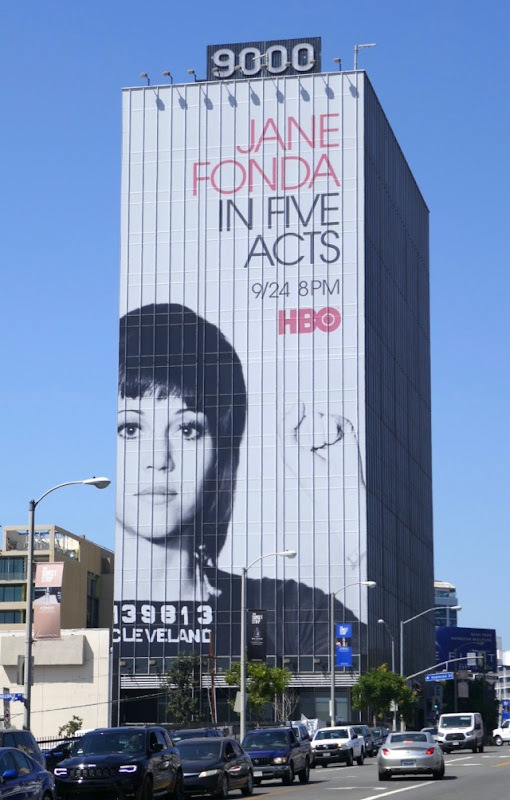 Born to a famous father and mother who committed suicide, the 80-year-old icon who charted her own course is still thriving and living her life to its fullest, an example to us all.